A brief farewell today to a burger joint. Goodbye to Bill at the cash register who yelled out orders with a drill sergeant's bellow. Goodbye to Donna on the broiler and Toni at the deep fry and 'Re' who slapped it all together at the end of the line with a "Here ya go and hope ya like it" for god measure. And goodbye to as fine a super-cheeseburger all-the-way, fries and a medium coke as anyone's $1.87 could buy. Yes, goodbye to all that. No more hamburger haven at the corner of South and Cleveland. The Biff-Burger, yes, the Biff-Burger has closed. It is, of course, a major tragedy. I speak not only for myself, one who ate there with a happy regularity, but for anyone who respected the sanctity of the customized hamburger and the hamburger joints that serve them. There are damn few places like that left though and slim chance their number will increase in the future. The old way just doesn't pay when it comes to burgers. These days, it's precision and quality control - not people - that count. These days there are machines with buttons you can push and - plop-plop - exactly four ounces of ice, no more, no less, will drop into a pre-positioned cup, and then - fizz-fizz - exactly six ounces of soda, not a dribble more, will bubble up to an economically feasible fill line. Meanwhile, your 3.2 ounce simulated beef patty, perfectly round and perfectly bland, gets smeared with a pre-determined and strictly adhered to amount of ketchup and mustard and mayo and God help anyone who would tamper with that process by asking something ridiculous like "Could you spread ketchup on both halves of the bun?" or "Can I get a shot of barbecue sauce on that?" Such stuff doesn't float, it sinks the system, in the modernized, sterilized hamburger place. At the Biff-Burger you got it the way you wanted it and it was always good. Mostly it was regulars, locals, who ate there. 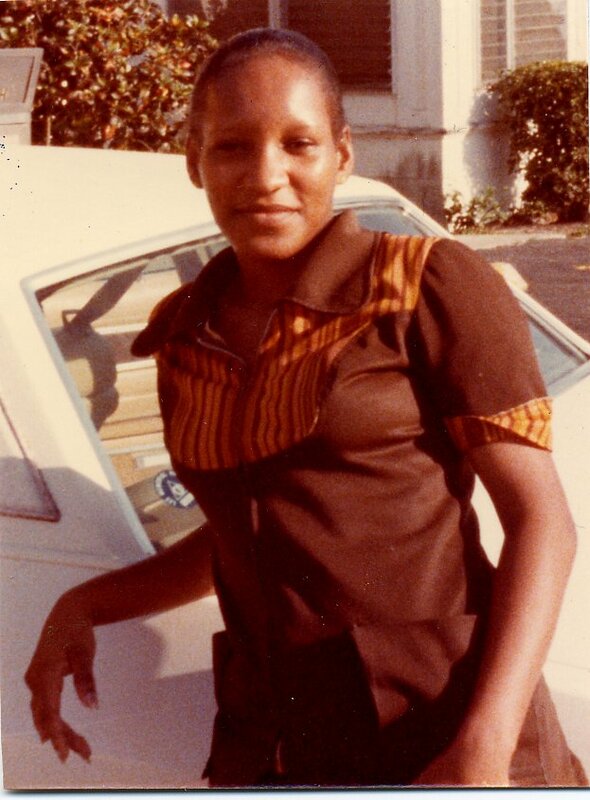 At the Biff-Burger, there were no jingles, no gimmicks, and the booths were likely to be taken by a couple of cops on coffee break, neighborhood kids out for fries and cokes, or the construction crew tat stopped most every day for lunch. It was, by and large, the same old crowd and chances were good that Bill Nichols, the owner and looming figure behind the cash register, would probably know your name or, lacking that, remember what you always ordered. "Here comes Super-Cheese with Onion Rings and Footlong with Chili and Slaw," he might say and Donna or Toni would start getting it ready before the two men even walked in the door. If you really wanted a jazzed-up burger all you had to do was tell Bill and he'd yell for the crew to "run it through the garden." That meant you got everything, absolutely everything, plus a healthy splatter of barbecue sauce for an extra kick. That super-cheeseburger looks too big to handle? No problem. "Cut it in half for the man with tiny hands," Bill would say. He liked to kid around. Me? I have this fetish for mayonnaise with my french fries, a request that totally grossed out the girls behind the counter, but they got used to it and, without having to ask, I got a nice white dollop on the side with every order. That's the kind of customizing I'll miss, something that won't be found in the chain restaurants. Actually, if you get right down to it, the Biff-Burger was a chain, sort of. There were a number of other Biff-Burgers scattered around this part of Florida at one time. There's still one in LaBelle. Jack Solomon, a local businessman now with the Elliot Group, started the Fort Myers branch back in 1958, eight years before McDonald's or Burger King ever made it here. But except for the name they shared, all the Biff-Burgers remained more or less autonomous. Each was run as an individual small business. There was none of the franchise hype and sameness of menu that other, bigger chains offered. 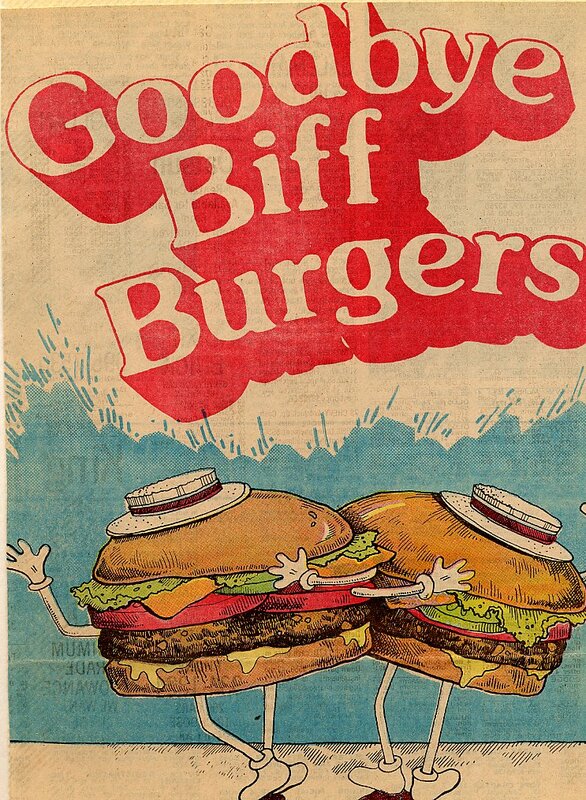 When Solomon sold the Biff-Burger to Bill Nichols in 1973, it was what remained right up until it closed - a hometown operation that cared about its customers. But in the end, it seems, that's exactly what brought the Biff-Burger down. "Unfortunately, the old fashioned approach doesn't seem to work anymore," Bill Nichols told me. "The problem with small businesses these days is the excessive inflationary costs in insurance, taxes, labor and so on. And then the government gets involved with wage and hour laws and paperwork and unless you're a big outfit you either have to raise your prices or increase your volume or call it quits. It just got to be too much aggravation and we called it quits." The Biff-Burger is up for sale now. All the equipment remains - the rotary broiler, deep fryers, and stainless steel cooler and it's conceivable that another burger joint could take its place. Conceivable, but not likely. The corner at South and Cleveland is, as they say, a prime location and a small time operation just couldn't pay the toll. The Biff-Burger in Fort Myers was located at the corner of Cleveland Avenue (U.S. 41) and South Street. Credit is given to Michael Griffin, Ft. Myers, FL, for providing this archived article and photos. Thank you and good luck to all of the members of the Toastyfried Co-op!